We here at Green Intentions USA want to thank everyone for the help with the theft of our IP. It was because of all of you that we found out who was stealing from us and selling knock offs of our technology. Thanks to all we now have all the evidence we need. Below is a list of the companies that are involved with the crime. PRESIDENT OF EDI –Electronic Devices, Inc.
VICE PRESIDENT OF SALES at EDI –Electronic Devices, Inc.
Night Vision Array, High Voltage Rectifiers, Fast Recovery diodes, Avalanche Diodes, High Current Assemblies, Full wave Bridges. This company was hired by us and paid to make the diode blocks.They then breached our agreement and sold our technology to both our competitors.We also believe that they tried to reverse engineer our unit. If you are having trouble with any of the suspected products please write to this email musclecars4u@hotmail.com. If you need immediate assistance go to this address and contact us Electronic Design & Development Corp. . We will be offering free tech support to get you going. If you suspect the equipment you have to be counterfeit please call the FBI. We will also try and help those people too. Blue phoenixignition was notified and has not complied with our requests.Currently we are not sure about how deeply they are involved the owner Richard Hann has been in contact with us and talks continue. Ecoignition has complied and has removed the material from their website. We thank them for that. If anyone has any information about these companies or anyone suspected in IP theft please contact the FBI. and will only work when the gap is small and closed up. not Classen's. Period, get over it please. your videos, and they are NOT the same. ignition, you are seriously uninformed. here to back your claims. my method that is in the patent. It looks like an attempt to replicate the Puharich concept possibly. There are almost no straight up ignition schematics in that whole site. But that is just the Nexus circuit. to do the plasma ignition by any stretch of the imagination. Todd says he openly he is fastimports3 on Youtube. Very nice! I'm working on this ignition﻿ system too. Should give some nice results. Try increasing the gap of your plugs. Don't increase gap cut the j-tip of the plug back a little and side gap the plug. Increasing the gap kills﻿ the plasma arc effect. Also use NGK non-resistor V-power racing plugs. They have worked the best for me. Works way better than MSD 6AL box using gasoline for fuel...... I'm still think it might explode pre-conditioned (Hydrogen Enriched)water too. can it explode mist﻿ water? i'm also doing same expiremnt. At this time it doesn't explode water. But I have a﻿ couple other things to try still. different from any of these. that it was closed due to "spamming". what Luc was doing in the s1r replication attempts. 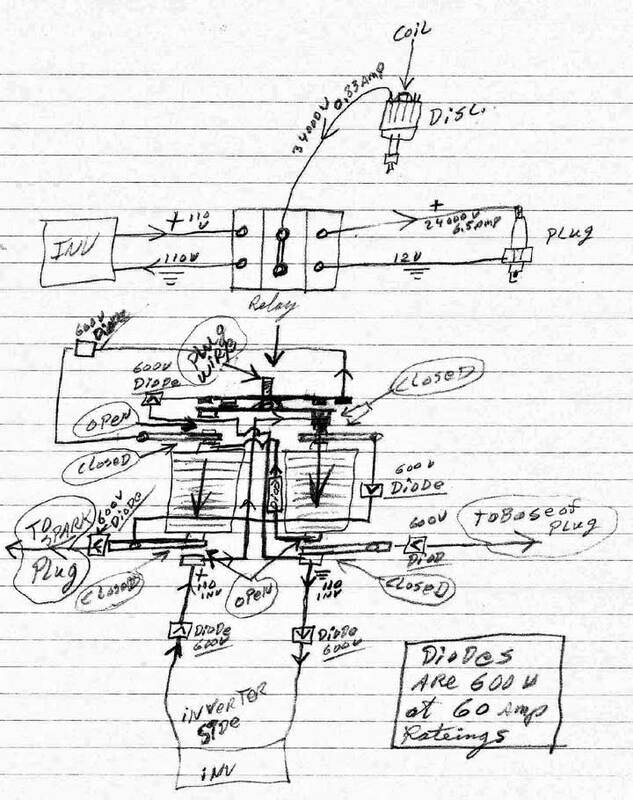 Todd lists this as his "homepage"
schematic on the patent in question. @$UM1 - WHY? Why do you insist of posting this on my private profile page where hardly anyone will see it? Looks like you're not the only one to receive $UM1's message on their profile page. It showed up on mine, too, and I imagine a lot of others here have been spammed in the same way. PM's should seldom be used, and only in an appropriate manner. wants everyone to see so I posted it here. buy it, but I certainly want him to voice his concerns. than claim Luc and this patent application is based on his circuit. patent application schematic based on my simple design. forums. I understand you think you have a concern so discuss it here. don't you do that? Why not post your own schematics as well? I suggest you actually do some research so you can see the facts. The thing that everyone should know is that the counterfeit blocks will fail when they are not used with the Mad Hornet SparkAmplifier. When EDI stole the technology and sold to our competitors they did not get the schematics of the Mad Hornet Power unit so they do not fully understand how to interface them properly. We have done extensive research on this subject. Their Amp does not have any output current limiters so they will always overdrive the blocks and tear up plugs and engines. This is just one of the problems you get with Cheap Chinese Knockoffs. The Mad Hornet on the other hand has an output current limiter that stops this major problem. The mad hornet can control the output power allowing you to adjust the output to properly drive the blocks and the plugs. Because the Mad Hornet SparkAmplifier has this feature RFI can be reduced and there will be minimal CEMF to damage anything. These are just some of the features of the Mad Hornet SparkAmplifier that makes it superior to all others. Criminals don’t care if they sell equipment that can damage your engine to them it’s all about getting the money. They don’t care who they hurt nor do they pay attention to laws they have broke(Theft). We have to get this country back on track boycott the Counterfeiters. people want to know why their product is failing and how it will hurt your engine. The Mad Hornet SparkAmplifier made in America !!!!!!!!!!! !BUY USA!!!!! Q. What happened to the backup service or warranty for the purchasers of the short lived Aquapulser. A. No more company, no warranty or backup. A. Don't spend until this matter is sorted. There are buyer of this product out there so you better milk them now. As soon as the Chinese get hold of it you may as well forget about any patents as they wont be worth anything. Chinese will copy it, they will improve it and they will sell cheaper than it cost any US company to manufacture it. Not fact or experience, but if Aquapulser is no longer then who is going to warrant their products. There is no legal obligation on Blue Phoenix if its a seperate legal entity. It would only be goodwill if they chose to. Aaron do you have information on who is warranting Aquapulser units. We returned two RPG 4700 units and one 1 joule unit for warranty replacement on or around 6/14/2010 . We were offered a refund but chose to wait for the new units . Now that Aquapulser is split we have not been able to get our units. Moose, there are still good people that actually do care. I'll skype you a message in the next few days. This thread is reposted in the public forum to act as a public record of the facts about Luc Choquette and his fraudulent claims that he is the inventor of my circuit. And you can see how him and Karthik went behind Arvind's back as posted by Arvind himself. 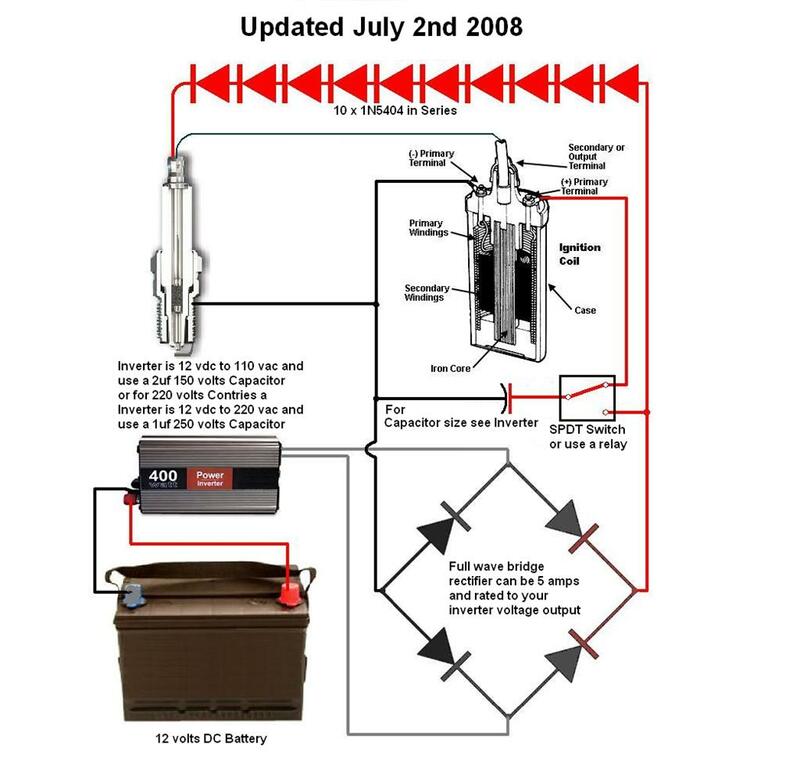 Take note of Turion's posts about Luc and Luc's method of examining the 3 Battery System, etc. I made my own post to give my own testimony about Luc and his fraud, lies and deceit. RAMSET posts in Luc's defense on that thread and I will copy it here for the record as Luc posted this in 2015 somewhere online to answer questions about why he took part in the patent that has the plasma ignition circuit, which is MY sole invention. I will respond to the lies cooked up by Luc below, but they are actually already answered in this thread. his response here, [ I had seen this question at the time ,but forgot about the reply...a member here forwarded this to me today. Okay, I'll do my best to explain the basic events without going into too many details but I'll cover enough so those who don't know about the water spark circuit can understand. On June 25 2008 while experimenting on plasma spark I happen to combine a high voltage of an ignition coil with a low voltage of a capacitor. The combination of these two with a high voltage blocking diode on the capacitor created a very enhanced spark which has an even greater effect if sprayed with a fine mist of water. The effect is more light and a very load cracking sound which I thought could be a dissociation of hydrogen oxygen of the water mist. At about 6pm EST on June 26th I started a topic on the Overunity forum and titled it: " URGENT! WATER AS FUEL DISCOVERY FOR EVERYONE TO SHARE"
Here is the 1st YouTube demo video which is correctly dated June 26th. It's important to know the date the information was first publicly shared and my intent. On my first video above please listen to my message between 4:23 and 4:52 and ignore the theories I shared. Message: what I'm doing is, I want everyone to start thinking about this (circuit) and trying to get this effect and Improve it. I'm not the best in electronics, it's not really my field. So I'm posting this so people can start working on it and get this working. So let me show you what I've got so far. One week later on July 4th 2008, Arron of the Energetic Forum started a topic and titled it "Water Sparkplug"
On July 13th 2008 after participants suggestions of better diodes and me also using a single pole double throw relay to charge and discharge the capacitor, the effect was much better then the first video. On September 9th 2008: Arron posted a video with Peter Lindemann demonstrating the effect of the spark which was titled: "Peter Lindemann's Replication of Arron's circuit based on Luc's (gotoluc) method"
Notice some recognition towards me in the video and title. Remember this when you read the below. Around the beginning of April 2009, I was contacted by two individuals, one called Arvind and the other Kathik from a business they started in the US called Aquapulser. They liked the high voltage diode blocked high current capacitor spark effect so much they decided to start a business and manufactured a ready made plug and play device so consumers could purchase. I was very happy they had done this as that would help to get it out faster and wished them the very best. They told me they had been following the topic on each forum and from their research considered me to be the originator of the high voltage diode blocked high current capacitor spark effect. They offered me a free sample of their device in recognition. They told me they couldn't afford to give more out because of their large start up investment which I understood. Later on they contacted me again and suggested to patent the circuit since a bigger corporation could possibly patent it (even though it was open source) and could then prevent Aquapulser to manufacturing it. They had a valid point as open source information is not as protected as some may think. So we had a written agreement that they can hold the patent only to prevent big corporations to use it and Aquapulser could not interfere with the open source community. Aquapulser paid for all patent and attorney costs. Once again I wished them success and didn't ask for any profit as I admired their efforts and wanted them to have the ability to re-gain the huge expenses of the patent costs. The patent included my name as one of the inventors along with Arvind and Karthik. This way they couldn't sell it without my consent because of the written joint ownership agreement. So even though I didn't wish to profit on Aquapulser sales, I was part owner of the patent document which secure it. This ended up being good, because in early 2011 the two owners of Aquapulser were in disagreement. Karthik didn't agree with Arvind's new change of direction. He though Arvind was considering the sale the patent for profit and felt (rightfully so) this was not what we had agreed on. Karthik contacted me and suggested we combine our ownership of the patent document to gain control of it and then together we could agree to dissolve it. I had to trust Karthik's plan and be sure he would follow through once the first step was done. Karthik followed through as he promised. He also took care of all the legal details and the original patent was dissolved. However, "for some reason", it coincided Aaron found out there was a patent filed and on the Energetic Forum he started to publicly accuse me of steeling his circuit and so on. I mostly ignored him as I knew my intent was good and was of no profit or benefit to me. Then Aaron joined forces with Arvind and demanded a new patent be created and that there was no reason to have my name as inventor because it had nothing to do with my circuit. However, the patent attorney did not see it the way Aaron did as I'm sure he had done some research on the first patent (before putting it together) which is now dissolved. The patent attorney tried to reason with Aaron. However, after a few weeks and so many harassing emails from Aaron the patent attorney quit and said he would not ever get involved again unless there was a prior agreement reached. What I didn't mention is, during the months this was going on, I was overseas in South Africa for 6 months at my travel expense and making no money helping a mission feeding and clothing the poor. So it was quite a challenge to get internet access and deal with all this fiasco. Anyways, back to the story, Karthik said he would support me on what ever decision I made. I was about to give it away because I just don't care for this kind of stuff but something in me said don't let this guy have his way and hold firm as inventor. In the end we all agreed to refile the patent with Aaron's name on the inventors list. This was the best I could do then to just walk away and let Arvind and Aaron file for a new Patent. Last time Karthik and I were contacted by Arvind, he wanted us to pay for our share of the new patent. We both replied we didn't have any funds, so I don't know and don't need to know what the status is. You be the judge of who's name should be on the patent! Aaron's argument was the circuit the Aquapulser Team used in the patent was closer to the circuit he shared then mine. This is true as my circuit was basic and as I mentioned my electronic skills was minimal and why I did my switching by hand on the first video and 2 weeks later I used a relay. 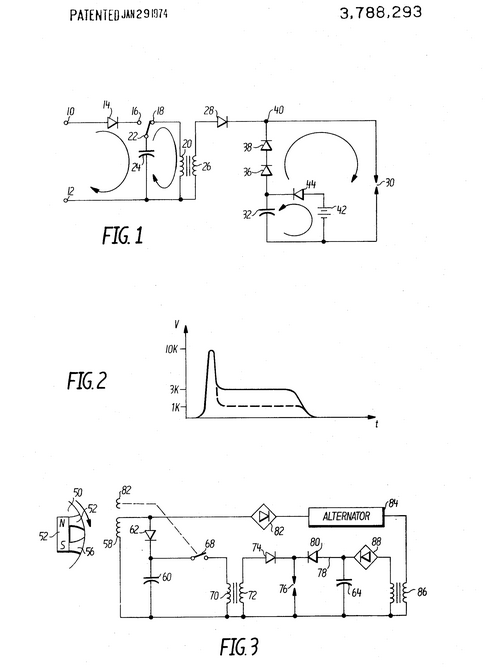 However, both circuits are based on the same effect and I think this is what the Aquapulser team had originally considered prior to the patent. One way or the other I can tell you that profit or recognition are of no interest to me. I have never profited one cent from anything I've shared or ask for recognition and I challenge anyone to prove me wrong. It's always been zero in and $1,000. out of my pocket to pay for supplies and equipment. Also, look at any of my video's, none of them have advertising. I have over 950,000 combined views and 2,500 subscribers. Would this suggest I'm in it to make profit? So why don't I want profit?... because I believe profit, gain and control is what causes poverty and prevents inventions to come out that would be for the good of all. So my thoughts and way of life is, if I don't believe in it, why should I participate in it! For you profit oriented people. You may want to reflect on how those actions will help others. As taking more for yourself then others have is contrary to the flow of nature or the universe. If that doesn't make you think then, tell me which person was able to bring something from this world when their end comes? Better chances for those who have helped others will be seeding for the next then ones money piled in the bank. PS, looks like Arvind has continued the business and I still wish him success. That has always been my motto and is why I remember things clearly because each piece of evidence jogs the memory of actual events, while someone lying will have a hard time keeping track of what they made up along the way such as the way Luc Choquette has operated. Without going into too many details Luc? Details like the truth? lol - seems to be a pretty detailed response to me. For everyone's information, the very thread that Luc started has this in the first post, "Now let me give you some background on this. For a couple of years now I was a member of a Yahoo Group called: WaterFuel1978. At this group user name: s1r9a9m9"
It basically just uses an heavy duty appliance relay to drop the output from a 110v inverter across a spark plug - when the plug sparks, the low voltage high current from the rectifier will jump the gap to cause the plasma effect. When the relay is in one direction, the inverter will charge that cap to a 160vdc peak. When the relay goes the other way, it drops that cap to the primary giving a capacitive discharge spark, when that spark is made at the gap, the inverter's rectified DC output will jump the gap. This is not an innovation or enhancement to the S1R method other than having a capacitive discharge spark that is a little stronger but it is the same exact method of dropping an inverter's output across the gap. Luc and others fooled themselves into believing the plasma burst was from the inverter and I tried to tell them it had nothing to do with that. It was because of John Bedini's Gray Motor diagrams he released after Peter Lindemann's book came out that clued me in. Everyone thought John drew the diode backward on the LV rod in the Gray Tube but he didn't - fortunately, at that time in 2004 or so, I didn't know how it was "supposed" to be so the way John had it was in fact the only way that ever made sense to me. It is 100% identical in principle to the plasma jet ignition circuits and is why I was able to create my simplified innovative way of doing it. What you see is that dropping low voltage across a spark gap has been patented for many years. The above was patented about 40 years ago. What you see is capacitor 60 discharging into the primary 70 and 72 outputs the cdi discharge across gap 76. Then Capacitor 64 goes through diode 80 and over the gap once it is ionized. Capacitor 64 serves the EXACT same purpose as the rectified output from the inverter in S1R's diagram and serves the EXACT same purpose as the rectified output in Luc's "invention". I originally put Luc's name in the title of my replication effort only to give him some credit even though my circuit was obviously different and he admits that - you can see how he admitted to updating his diagram with MY modification proving it works with just the capacitor and the inverter output across the gap is NOT required. Hence, the glaringly obvious fact that it is my invention as admitted by him. 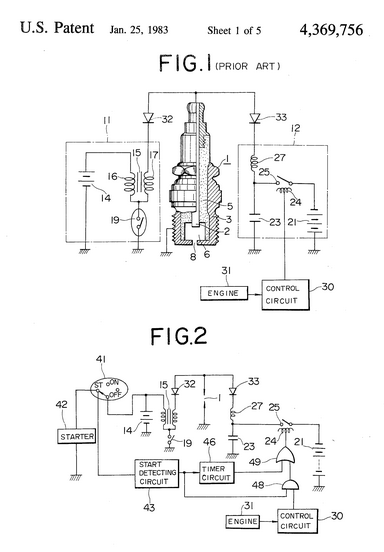 A Nissan patent in 1981 showing when 3 is switched on, battery charges primary then 2 output goes through distributor and to plug ionizing the gap. Then, capacitor 10 jumps over the gap - again capacitor 10 serves the EXACT same purpose as the inverter in S1R's setup, which serves the EXACT same purpose in Luc's REPLICATION attempt (not invention) of S1R's circuit. As a note - S1R knew about these patents but used an inverter because the output is way more beefier than a cap charged to a couple hundred volts at a couple microfarads. I have no doubt that S1R ran an engine with it because that 110v at high amps jumping the spark plug gap will explode the water like you won't believe - plug life will be next to nothing, but it proves the point. Above is another patent - these are all known as "Plasma Jet Ignition" fyi. "jet" comes from the shape of the plasma when used with a plasma jet ignition plug that has a recessed cavity - the intended way to use the plasma - will look like a jet flame. Anwyay, when spark from secondary 17 goes over the gap, then capacitor 23 jumps the gap and causes the plasma. Search that and Smokey Yunick's name online and you'll see old articles where he was very involved with these old methods of this ignition. This is what ran Robert Krupa's plugs called the Firestorm plugs - without this kind of ignition system, those plugs do NOT make the plasma that Krupa claimed. Yunick worked with Krupa and this is where Krupa got the results - it wasn't his plug as he claims - his plug just had LONG life with the plasma and is probably one of the best plugs you can use with the plasma. 1. So what you see is that the input to the primary may be battery voltage or it may be a capacitive discharge to the primary. 2. Then what you see is that in all cases, there is a low voltage high current supply that follows over the gap once it is ionized by the regular or cdi high voltage spark. This is EXACTLY what S1R did and what Luc REPLICATED (not invented). 3. But what nobody has ever done because actually many said it couldn't be done was that I used the SAME capacitor for the capacitive discharge input to the primary giving a cdi spark AND SIMULTANEOUSLY used the SAME capacitor to serve as the low voltage high current source that will jump the gap. They said it couldn't be done because they don't understand how it works. They claimed when the capacitor hits the primary that it completely discharged but I knew better. Hardly any gets to the primary to make the spark and when it is made the rest, which is most of it jumps the gap causing the plasma. The only truly significant innovation to plasma jet ignition systems in over 40 years - and I am the sole inventor of it. Luc didn't even understand how his own circuit worked as evidenced by his old posts. And then Luc asks me to proof his circuit to make sure its good now. LOL - who is the inventor of it? Last edited by Aaron; 03-17-2018 at 03:08 AM. So now we address Luc's response from 2015, quite a few years after the whole ordeal with the patent - my, my, my how forgetful he has become and how naive he thinks everyone is to believe his words when I have posted documented historical evidence including his own words... I have a pretty good memory and I have ridiculously large archives so I can be my own wayback machine. "On June 25 2008 while experimenting on plasma spark I happen to combine a high voltage of an ignition coil with a low voltage of a capacitor." - Luc is lying - you can clearly see he did not combine a CAPACITOR'S LOW VOTLAGE & IGNITION COILS' HIGH VOLTAGE over the same gap until I taught him how. Before then, he only used a capacitor as the input to the primary of an ignition coil completely isolating that capacitor from ever being able to jump the gap and the only thing that jumped the gap with the high voltage spark is the inverter's rectified output. He is directly making a claim that MY invention is what he started with - he is playing on people's ignorance that don't know better and that is how he starts off his explanations. "It's important to know the date the information was first publicly shared and my intent." - this is the method of a sociopath to reinforce their own lies as having an important element as to build credibility to it but this will only work for those who do not have the background or frame of reference for all of these ignition methods like I do - I understand the distinctions and his first timeline on June 25 is not doing what he claims, he did something different, which is in the diagram I posted before of his circuit that has a capacitor that only connects to the primary of the ignition coil after charged and the only thing that jumps the gap like I said is the rectified inverter output. His willful and wanton deceit in establishing this timeline is for him to show that his alleged invention came before anything I did, but in the last post I made on the chronology and his own post stating he updated his circuit to reflect my innovations proves the point. We can stop here and the point is proven beyond a shadow of a doubt, but I aim to dismantle and expose Luc's sociopathic, pathological lies. "One week later on July 4th 2008, Arron of the Energetic Forum started a topic and titled it "Water Sparkplug." What he doesn't tell everyone is that the circuit I posted was different than what he previously posted - I already made that point and even backed it with Luc's own words! "On September 9th 2008: Arron posted a video with Peter Lindemann demonstrating the effect of the spark which was titled: "Peter Lindemann's Replication of Arron's circuit based on Luc's (gotoluc) method" - again, I called it Gotoluc's method even though the circuit was better because it was simply out of respect for his own contributions, which were different than mine and he didn't even understand how his circuit worked. He admitted that. Peter's replications was simply using an automated 555 circuit to charge a cap, disconnect it from a power source and then drop it to the primary of an ignition coil. Why was this so important? The very point was to disprove Luc and other people's claims that the inverter was necessary. That is why Luc admitted in his own words that the capacitor was the only thing necessary!!! "Notice some recognition towards me in the video and title. " - Like I said, it was a sign of respect. His experiments inspired me even though he didn't understand his own circuit and it was already established that Luc and others claimed the inverter was responsible for the plasma bursts - I told them it wasn't and knew how to prove it. "I'm not the best in electronics, it's not really my field. " - phony attempt at being humble since the fire is lit under him but go to the 3 battery thread and you can see that he actually considers himself to be highly advanced in electronics and claims to know enough to debunk something when in fact he is a charlatan and clown and his greatest accomplishments are stolen IP from other people - hence this entire ordeal. "They liked the high voltage diode blocked high current capacitor spark effect so much they decided to start a business and manufactured a ready made plug and play device so consumers could purchase. I was very happy they had done this as that would help to get it out faster and wished them the very best. They told me they had been following the topic on each forum and from their research considered me to be the originator of the high voltage diode blocked high current capacitor spark effect." - this is nothing but a lie. Karthik even states that the method used by Aquapulser and Ecoignition was patented years ago and is public domain - just like the patent diagrams I showed in the last post. How could they consider Luc the inventor of this effect when Karthik defends their use of old lapsed public domain patents of the same effect? They didn't! The distinction that Luc is not forthcoming with is that 1) they never considered him the inventor of the basic plasma effect with a capacitor discharging through a diode over a gap - that has been patented for many years already. 2) the TRUTH is that they asked him who invented the circuit that I INVENTED and taught to Luc and everyone else and he claimed he was the one that came up with it. Last edited by Aaron; 03-17-2018 at 03:24 AM. "Once again I wished them success and didn't ask for any profit." - I have emails where Luc is fighting for more of a percentage than he deserved. He deserved ZERO since he had nothing to do with my innovation so you can see that even though it was on the table between all 4 of us that he wasn't the inventor, he wanted MORE and MORE and MORE. Simply, he is a liar and the entire facade that he has no interest in money or profit is a part of his front - that is what sociopath's do. "Karthik contacted me and suggested we combine our ownership of the patent document to gain control of it and then together we could agree to dissolve it. I had to trust Karthik's plan and be sure he would follow through once the first step was done. Karthik followed through as he promised. He also took care of all the legal details and the original patent was dissolved." - Karthik followed through? This is amazing how Luc's spins the fact that they co-conspired to close Ecoignition illegally without Arvind's knowledge or consent. This is what sociopaths do - there is no other way to put it and for Luc to put this spin on what really happens shows the level to which he will stoop in order to save face. "However, "for some reason", it coincided Aaron found out there was a patent filed and on the Energetic Forum he started to publicly accuse me of steeling his circuit and so on." - I already open sourced my work on it for the world to see. I wanted to write a book that would compile everything in one place that would be a simple A to Z walk through. If people wanted it for free, go ahead - look through the Water Sparkplug thread and anyone can do their own filtering. Otherwise, they can buy my book and get everything in one simple condensed version that will save people time and money. I wanted to give a dedication to Luc's contributions so I searched google for his name to make sure I spelled his last name right and the first thing that came up was a patent application with MY circuit and Luc's name on it!!! "I mostly ignored him as I knew my intent was good and was of no profit or benefit to me." - The way of the psychopath, justify, justify, justify one's own actions. He outright lies that he was the inventor of my circuit - yet he claims he has such a benevolent reason and what you notice is he always brings up how he isn't in it for the profit, etc. What I see is that those who scream the loudest about how honest they are, how unselfish they are, how they're not in it for the money, etc. are actually the biggest liars and cons around. ie - Kevin Spacy in his rants about sexual abuse when he all along he is the most prolific violator of them all! Luc is like this with his lies and phony "I want to save the world and don't want anything in return." etc. The truth is that anyone who is charitable in their heart will never tell anyone about it - they will simply do it and will not just be quiet about it, they will keep it secret. "Then Aaron joined forces with Arvind and demanded a new patent be created and that there was no reason to have my name as inventor because it had nothing to do with my circuit." - I didn't join forces with Arvind. I equally jumped on Arvind, Karthik and Luc. It was Arvind who was the only level-headed person who could communicate reasonably in return. He informed me the patent had 3 inventions - MY circuit, the ionization detection circuit and the coil on plug adapter with built in diode. At that point, I examined the whole patent in detail and determined that Arvind and Karthik should be on the patent for their own inventions, I should be on it for my circuit because if it is going to get patented, I might as well be the rightful inventor on document and Luc should be kicked off since he had nothing to do with the three inventions. "However, the patent attorney did not see it the way Aaron did as I'm sure he had done some research on the first patent (before putting it together) which is now dissolved. The patent attorney tried to reason with Aaron. However, after a few weeks and so many harassing emails from Aaron the patent attorney quit and said he would not ever get involved again unless there was a prior agreement reached." - this attorney was fully aware that he had liability because he did NOT do his due diligence. If he had, he would have read the #1 most trafficked thread on the subject, the Water Sparkplug thread, which documented the entire history of my circuit development. Again, you have Luc's post here showing that he later modified his circuit according to what I taught him. Luc is also lying about what the patent attorney did. He complied with my demands and so did everyone else - they signed the papers to put me on as an inventor. Luc remained on the patent because that was a totally separate issue that required more paperwork and more money, which we weren't prepared to spend at the time. AFTER all of this was done, THEN the attorney said he didn't want to be involved. What is the proof of this? Simple, my name is on the patent proving my original demands were complied with. [10/2/2013 6:46:00 PM] Aaron Murakami: Arvind, what is the patent status? [10/2/2013 6:47:07 PM] Aaron Murakami: what is the patent #? Can you email me the documents from them? [10/2/2013 6:47:57 PM] Aaron Murakami: ok cool - also we need to consider removing Luc, since that was his last request. That is an advantage to us all. Removing him from the assignment that is. The advantage I mention is that with equal and undivided rights to the patent IP as equal owners, Karthik can have full ownership of his "invention", which may be the coil on plug, Arvind can have full rights to the ionization detection circuit and I can have full rights to my own circuit - if we agree to that in a contract. Until then, Karthik continued to use Luc as a pawn in his own game against Arvind and Luc was all the willing as a co-conspirator who illegally closed Ecoignition behind Arvind's back. So put these actions by Luc into the context of his entire online history of acting like he is only for humanity, doesn't want money, recognition, etc. when in fact, he is a recognition hound and his humanitarian efforts are always simply leveraged in order to gain favor by others. NOTE: "since that was his last request." What request? Luc's request to be removed from the patent since it got to the point that it was pathetic for him to insist that he had any rights to it anymore. Luc was defeated the simple fact that I overwhelmed them all with so many facts, history and documentation that he looked like a fool to have ever claimed to be the inventor at all. "I was overseas in South Africa for 6 months at my travel expense and making no money helping a mission feeding and clothing the poor. So it was quite a challenge to get internet access and deal with all this fiasco." - What kind of person uses their charitable work publicly as an excuse or to gain sympathy or as a reason for this or that? Someone who has no charity in their heart but only for the sake of vanity to show off to others - a quintessential hypocrite. And RAMSET doesn't help Luc when posting about Luc or Luc's response - he shows that Luc has a long history of wearing his humanitarian efforts on his shoulder like a badge so loudly that everyone around him sees it like a disco ball in a dance club. RAMSET - your post has the opposite affect from what you intend. Matthew 6:1-4 “Beware of practicing your righteousness before other people in order to be seen by them, for then you will have no reward from your Father who is in heaven. “Thus, when you give to the needy, sound no trumpet before you, as the hypocrites do in the synagogues and in the streets, that they may be praised by others. Truly, I say to you, they have received their reward. But when you give to the needy, do not let your left hand know what your right hand is doing, so that your giving may be in secret. And your Father who sees in secret will reward you. " Last edited by Aaron; 03-17-2018 at 03:53 AM. "I was about to give it away because I just don't care for this kind of stuff but something in me said don't let this guy have his way and hold firm as inventor." - LOL - what a righteous man - I've established not with words but with evidence in Luc's own words (screenshot of his own post) admitting that he updated his circuit per my recommendation - then he concludes his post asking me to proof it to make sure he got it right! 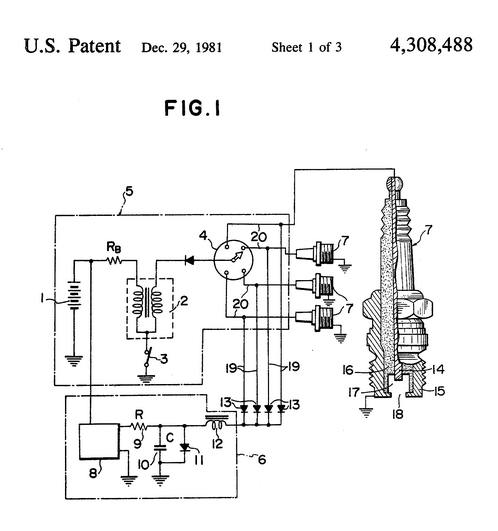 LOL -again, who is the inventor of the patented circuit? "You be the judge of who's name should be on the patent!" - One thing I will agree with Luc on, you be the judge based on the evidence of who came up with the circuit that Luc admits he updated to reflect what I taught him and he even asked me to proof it. 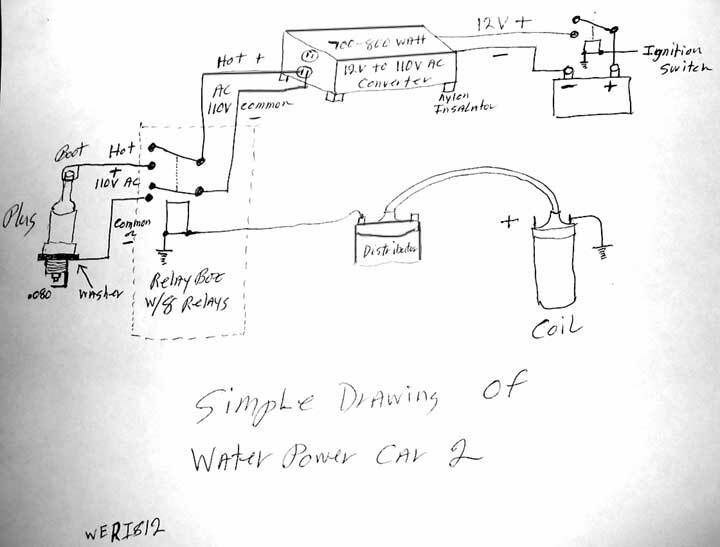 "Aaron's argument was the circuit the Aquapulser Team used in the patent was closer to the circuit he shared then mine. This is true as my circuit was basic and as I mentioned my electronic skills was minimal and why I did my switching by hand on the first video and 2 weeks later I used a relay. However, both circuits are based on the same effect and I think this is what the Aquapulser team had originally considered prior to the patent." - Luc you mean the same effect that has been patented for over 40 years??? Mine gives the same effect and I have admitted that for the past 10 years - the difference is that mine does it with a single cap doubling as the input to the primary AND the LV source that jumps the gap that nobody in history has figured out until I showed it, which I did as a necessity to disprove the claims by you and others who said the inverter output was necessary. "For you profit oriented people. You may want to reflect on how those actions will help others. As taking more for yourself then others have is contrary to the flow of nature or the universe. If that doesn't make you think then, tell me which person was able to bring something from this world when their end comes? Better chances for those who have helped others will be seeding for the next then ones money piled in the bank." - a very predictable summary of the hypocrite singing the blues with the "I'm so righteous" trip. That is my response to Luc's pathological lies in his 2015 post in response to questions about his involvement with a patent. He did it to protect it? LOL, all while being fully aware that it was MY circuit and it should be up to me whether or not I want it public domain, patented, etc... it is my call and my call only and his actions on the matter have always been rooted in lies, deception and fraud. Luc is a liar, I have proven that with this thread and these posts showing the chronology and Luc's own post asking if he got my circuit right, etc. Anyone's further attempts to justify Luc's actions or make excuses for him will simply reveal themselves to be in resonance with psychopathic ways of being and no amount of lies will ever cover up the CLEAR, documented, historical and chronological proof that Luc is a liar and took credit for my circuit, period, end of story. Last edited by Aaron; 03-17-2018 at 03:54 AM. checks and balances were installed so as to insure no need of trust. Edit to add, this never got to the actual live stream 100 % transparent demmo due to an unfortunate health issue on my part. I asked if you would call your old friend Mike Nunnerley and ask his opinion ? Last edited by RAMSET; 03-23-2018 at 08:30 PM. there are fellows all across the globe who Volunteer in open source forums to help wherever and whenever they can. We know what kind of clowns you associate with - Luc, TK and the rest of those time wasters. They're not available to "help" - all they have done is the best they can to spread disinformation, disrupt, etc. They are not to be trusted and neither are you. His response to that will be moved here so it will not disrupt that thread. His response shows up here as coming before this post because I moved it here after. So this post goes first then his response that is posted before this post actually comes second. Last edited by Aaron; 03-23-2018 at 08:47 PM. The problem with what you say is that it comes from defective thinking. No amount of people's opinions can ever carry the kind of weight that Luc's own words have, which I have documented throughout emails and his posts in this forum and elsewhere. You seem to think that continuing to point to what others have to say will somehow negate or overshadow Luc's own documented words demanding certain percentages of the patent rights for my circuit, his own admissions that he updated his circuit to match my invention as well as asking me to double check his circuit to ensure that he got it right! Then, years after that in 2015 as you posted that he is stating that he believes his name should be listed as inventor! He doesn't have a very good memory of what he has already said and admitted to years before, but I never forget and I document everything. I like and trust Mike, but he does not have the experience of being conned by Luc like so many others have such as myself, Arvind, and Karthik (who is a trouble maker himself, but he was lied to by Luc as well). Luc is a greedy con who kept asking for more and more royalty percentages - and he openly admitted to modifying his circuit according to my recommendations clearly showing that I am the inventor of the circuit that he lied to Arvind and Karthik about. There is no debate about it as there is no question that these are FACTS and not people's opinions about Luc. All the FACTS (not opinions that you rely on - you probably consider opinions to be alternative facts) are posted clearly right here in this thread for all to see. You can wiggle and squirm in your circular motion all you want on Luc's behalf but nothing will ever make the FACTS that I have presented and documented not true. Stefan has known Graham G for many years [considered him a friend] . such contributions are detrimental to hosting Graham at your site . Last edited by RAMSET; 03-23-2018 at 11:23 PM. Wrong, that does not undo the fact that you DID align yourself with that clown and company. Over the years, you have made excuses and backed them all. Those posts are still in this forum and goes back years. Your claim that you know "specialists" who are qualified remains a farce as is your defense of Luc and the rest. Your methods have not changed over the years. Everyone can believe what they want but when you defend Luc based on what opinions others have instead of simply looking at his documented fraud and lies, that speaks volumes about you, your character and your lack of integrity. You are who you hang around and you are in bad company. The elephant in the room [not directed at Brother Mikey, nothing I write here is addressed to him . yet you claim ... with no evidence ?????? Not one?? surely you could do that ? if that is how you do this ?? My phone rang the first time the world trade center was bombed in 93 [I was a fairly young man ATT]. the runway pier was moving too much where the terafirma met the pier and the Big 747's were hammering That expansion joint to pieces ,it was right where the planes touched down and a Blown out steel expansion joint could have been catastrophic, they were quite concerned to say the least ,and time was of the essence . they were terrified .....the Bell labs lance can Plunge cut thru 20 feet of solid concrete and steel like a butter knife. Top shelf Labs run by world renowned physicists and engineers with state of the art equipment ?? sorry if that upsets you. and all I can do for the open source community looking to change our world. People Glad to help, anyway they can ,not for business profit or personal gain. and offer no opinions on you ,just observations . as they say in the Big house "you do you"
you should ask David for his opinion about me .. it is his thread , I have a great affection for him and what he has tried to do. I would not expect anyone here would want anything less for themselves . Last edited by RAMSET; 03-24-2018 at 01:57 PM. TK, Milehigh and Poynt99 cannot be separated from each other because they are the three stooges. The three stooges that you worked with in synchrony with years ago in the Ainslie threads. As soon as TK was booted for his mouth, you came immediately to the rescue and made sure that you put his posts there on his behalf. This was before the Milehigh and Poynt99 stooges were booted. TK admits he couldn't even get his mosfet to oscillate and claims the oscillations have nothing to do with what is on my scope and other stupidity. That is the nonsense that you kept posting over and over and over. Those are posts of TK and not Milehigh but everyone knows TK, Poynt99 and Milehigh work together as a team to spread disinformation and you are helping them. In other words, you have been the greatest supporter of those clown's disinformation of anyone who has ever posted in this forum. As I said, you are untrustworthy. I will say one thing on Chet's behalf. At least he doesn't keep promoting book after book and video after video that promises to give the final secret of overunity but never deliver that secret. We've released more books and videos on real overunity technologies than any other publisher combined. If you're not able to apply the information, it's on you. And we have never claimed any final secret to overunity because there isn't one - there are simply very well established parameters that must be followed in order to achieve it. And, you have access to the forum for FREE and you are not required to purchase anything that actually pays the bills for the dedicated server or anything else so if you're that ungrateful, leave. By the way, give up your income and ask for donations and let's see how long it takes until you're begging for money on the street. never point out the obvious. keep your computers running plus pay the big bills. 10" rotor using 20 magnets then pulls 2 amps at up to 15v at the time. parallel wound series connected coils would exhibit a specific characteristic. Coils that generate power as if these were not there or in the field. been damaged in the past so he no longer answers very many people. who might get led down the wrong road. right and wrong. Family can do no wrong. So what family is it? Last edited by BroMikey; 03-25-2018 at 06:59 AM. until you could not find any examples [been ten years or more here and not one?? and these assets have seen them all......[But I personally check nothing off as Failed or ?? and to summarize the Millions [maybe ] of collective man hours spent by those who chased the one thousand seven hundred percent more heat out than in?? nobody I know saw this ?? plenty found errors with "her" and "her" methods of measurement. A friend has been asking me to take another look here "RA COP 1700" will be calling him after I write this . and gleefully records the failures and can't wait for the next one. to say I raise a fist at him ?? "I make my living selling secrets that would save the planet"
and have been for[a decade?? IF YOU OR ANYBODY ELSE CAN'T FIGURE OUT HOW ?? I came out the other side practicing something I call Brutal honesty. but its where we need to go,if we want our future. NOT JUST ONE MANS opinion. and a note to "trustworthy"
I am sooooo glad my children's lives did not get hurt by your silence and your secrets. If this ever gets out that you held and sold secrets that could save lives?? because you wanted to run a forum selling secrets?? and I cannot judge ,,,its something I learned during my "change"
I have learned that to hate is like taking a poison and expecting the other guy to get sick. All lives matter ,one of them might save us?? I post this here because you slandered/Libeled me here as "untrustworthy"
this probably needs a separate topic here and elsewhere. it seems as if there are many paths to this?? Last edited by RAMSET; 03-25-2018 at 11:12 AM. I have no secrets that could save lives. But plenty other things bother me these days . Last edited by RAMSET; 03-25-2018 at 01:46 PM. Overunity is solved long time ago but greed and selfishness still beat everyone trying to make something good. I only want to let you know that I'm happy you are still here friends and still do not loose hope and still building and helping each other. The world need YOU , your help, your knowledge and your good mood.